After a path element is created, it can be edited in the web view by selecting the Crosshair Cursor tool. 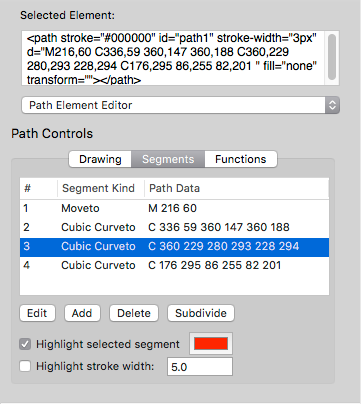 For more information about creating and editing SVG paths, see the <path> Element Editor page. 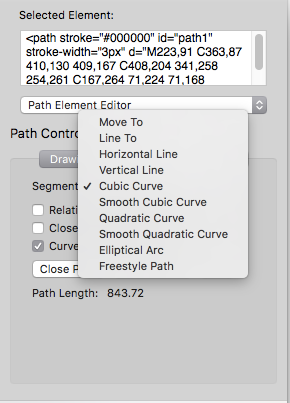 For information about using paths for shape animation, see the <path> Element Shape Animation Editor page. The path element can be used with some other plug-in editors, such as the <animate> Element Editor and the <animateMotion> Element Editor.